Because your deck is exposed to the elements, debris such as mold, mildew and dirt accumulate on it. Without regular cleaning, these and other natural corrosives will eat away at any existing sealant and eventually the wood itself. 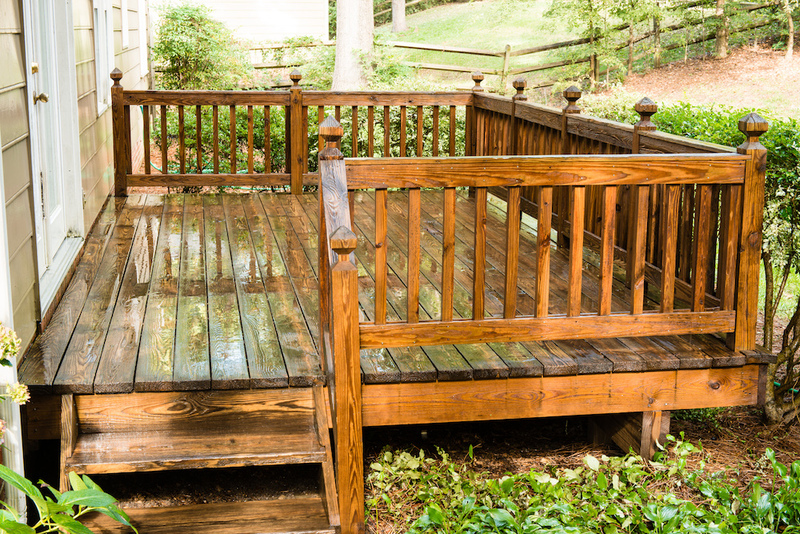 The best way to remove any buildup on the deck of your Springfield, MO, home and increase its life span is by having it power washed and sealed. Since improper power washing can permanently damage the wood, you need professionals you can trust to do the job right. We care about getting each deck cleaned right for our clients, and have worked for almost two decades with chemists to develop a superior three-step process to clean and seal your deck. First, foam is applied to loosen the wood fibers, making it easier to wash all the dirt out. All dirt, mold and mildew are then lifted to the surface of the wood for simple removal. The foam is environmentally friendly and chlorine-free so it gets rid of the debris without harming your landscaping or bleaching the wood. The unique polymer mix we use to stain your Springfield, MO, deck is able to penetrate the wood, providing long-lasting protection from dirt and buildup. It also blocks harmful UV rays to keep your deck looking nice and improve its lifespan. We seal your deck with a proprietary sealant to block not only the surface of your wood but also the pores. This prevents debris from seeping in and allows you to go longer between cleanings. Even an older deck can look brand new with the right help. Call Renew Crew of Springfield today at 417-865-9663 for your free estimate and evaluation. Be sure to ask about our free EverClean service.